Pop Warner coaches constantly drill the words "two hands" into the ears of their wide receivers, hoping to train grade-schoolers to properly catch a football. Sometimes the youngsters get the hang of it, other times not. That's how you catch it with two hands, kids. (But please, do not swallow the objects of whatever game you're playing.) 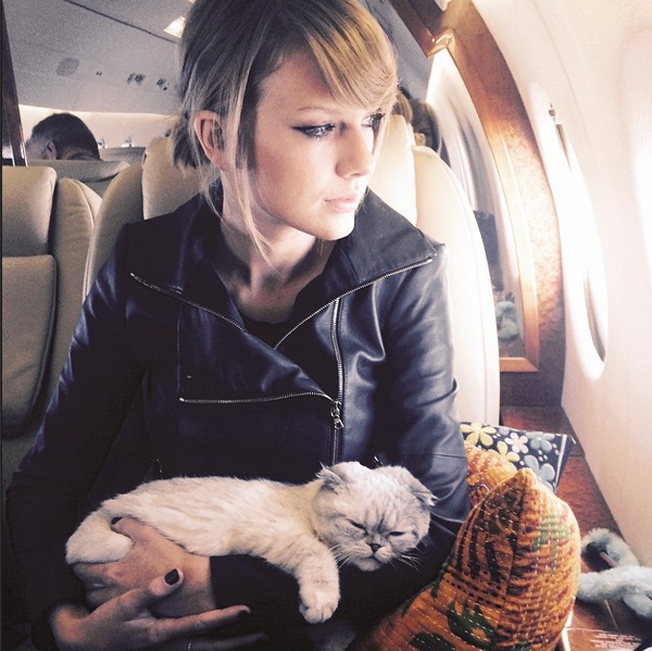 Swift then posted a message explaining she and her cat were reenacting an interception by Seattle Seahawks cornerback Jeremy Lane near the end of the first quarter. Check out the time-stamp on the post—mere minutes after Lane's play. Now that's real-time marketing. In our weekly Adweek/Shareablee branded Instagram video chart, we've already noted that Swift has mad social media skills. But the 1.2 million likes and comments her kitty clip generated was her best effort, statistically, that we've observed. In the multimedia infographic below, we feature eight categories (auto, beauty, consumer electronics, retail, fashion, celebrity, sports leagues and TV shows), which regularly appear in our weekly chart. Two wildcard niches are always added in, and we've chosen movies and pro sports teams for this week's edition. Marketers for the R-rated film Fifty Shades of Grey and TV program Ellen joined Swift as notable performers from Feb. 1 through Feb. 7. Check out all the winning work.